As would be expected, it appears as the price of solar comes down, the amount of everyday utilization of the renewable source continues to peak. So much so that a subsidiary of Bouygues SA has designed solar panels which are to be used in road surfaces and can withstand the weight on an 18-wheeler truck. The design has been under research and testing for a tedious five years but they are now constructing 100 outdoor test sites and plan to commercialize the technology in early 2018. If (currently a big if due to the costing factors) a way can be found to make these ‘solar-roads’ feasible, then it’s likely there will be no looking back to the era of fossil fuels. Roads are currently very much a ‘one life’ thing, to make the journey of automobiles smoother and safer and perhaps even more importantly, roads are effectively limitless. Everyday roads around the world are getting either built or restored to a good standard; solar-roads could be absolutely revolutionary. In addition, although not to knock the rapid implementation of solar panels onto unused land but by doing so, it removes the opportunity of agricultural use in such areas, whereas, putting solar panels into roads does not provide an obstacle to anything else. A kilometer-sized testing site began construction last month in the French village of Tourouvre in Normandy. The 2,800 square meters of solar panels are expected to generate 280 kilowatt-hours at peak, enough to power all the public lighting in a town of 5,000 for a year, according to the company. The company is looking to also begin trials is Africa, Asia, North America, and a number of other EU nations. As previously stated the current biggest issue is the pricing, due to it being such a new innovation, costing currently remains very high. However, should the testing be successful then one would expect the company to start receiving a considerable amount of funding. 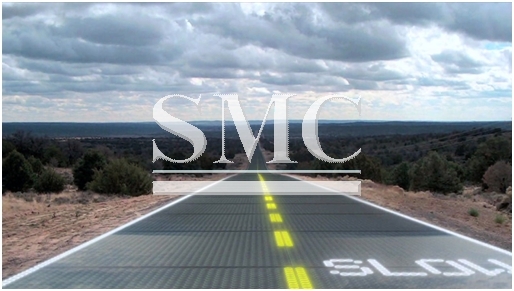 One square meter of the solar-panel road material currently costs between 2,000 ($2,126) and 2,500 euros, which includes monitoring, data collection and installation costs. Wattway aims to bring the price down to be competitive with ordinary solar farms by 2020. Let’s hope testing is a success.